As technology has advanced, taking great photographs is easier than ever. Whether you rely on the built-in camera of your smartphone or a top-of-the-line professional camera, using the right photo editing apps can turn a good photo into an exceptional one. But with all the photo editing apps available, it can be hard to choose the right one for your needs. It is a good idea to get familiar with several types of photo editing software. You may use a mobile app photo editor for quick touch-ups before posting to social media. Other tools are perfect for refining photos for your online portfolio or to deliver to clients. With the broad array of photo editing apps available, you’re sure to find photo editing solutions for every situation. How can you know which picture editor is right for you? You should first ask yourself where you plan to edit photos. Are you looking for one of the best photo editing apps for your smartphone or tablet? Would you prefer to download software for use on your PC or Mac? Or are you looking for photo editing software that works seamlessly across multiple devices? Budget is another key consideration. You can find free photo editing software online, or choose a free app. Often these solutions have a base level, with more features available through upgrades or in-app purchases. Using these free photo editing tools can be a great way to familiarize yourself with photo editing techniques and concepts. Once you have a good sense of how to edit photos for your personal photography style, you can move to more costly, higher quality options—like a comprehensive photo editing suite. Part of Adobe’s renowned Creative Suite, Lightroom is a favored tool to edit photos for many professional photographers. 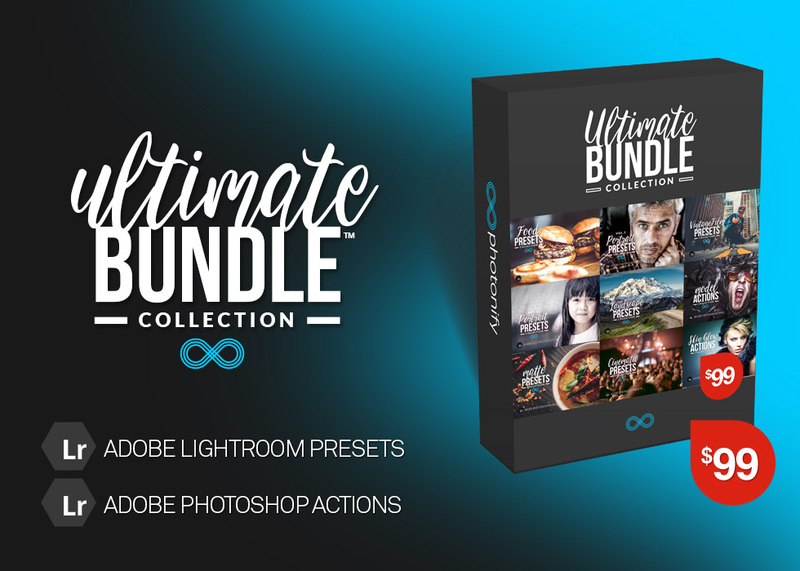 A must-have photo editor for anyone who is serious about photography, Lightroom is available in both desktop and mobile versions. The Lightroom photo editing mobile app allows users to adjust nearly every detail of an image—and transform any mobile photo into a photographic work of art. If you only need simple photo editing, you can use Lightroom’s preset filters to achieve the look you want with ease. With Lightroom’s built-in camera, you can manage key photographic elements, such as white balance, shutter speed, and ISO. You can also use the spot removal tool to fix blemishes or fine-tune parts of your photo with adjustment brushes. These and other quality features have earned Lightroom a reputation as one of the best photo editing apps available today. You can also opt to purchase the Adobe Creative Cloud photography plan. This plan lets you access your photos and media from anywhere—and syncs changes you make with Lightroom photo editing software to any device. That way, if you make some edits on your phone you can access them in the desktop version of Lightroom as well. When you subscribe to Creative Cloud, you gain access to the mobile and desktop versions of Lightroom for one price. If you’re interested in the best photo editing apps for Instagram, you should check out VSCO (also known as VSCO cam). VSCO has all the features you would expect in a pic editor—including settings for temperature, saturation, and highlights—along with a selection of pre-set filters. You can also use the app’s built-in camera to take and edit pictures seamlessly and conveniently. One of the best ways to learn more about VSCO is to search the #VSCO hashtag on Instagram. You’ll find a thriving community of avid VSCO users who rely on the app to capture and enhance photos every day. While you can download the base version of VSCO for free photo editing, you can also purchase a yearly membership plan for $19.99 which offers more advanced features. VSCO is available for both iOS and Android. Interested in an easy-to-use photo editing and graphic design tools in a single package? PicMonkey may be just what you need. Considered a top-tier online photo editor, PicMonkey is also available as an iOS and Android app. The software’s collage photo editing options are a popular choice for social media enthusiasts. With PicMonkey, you can accomplish a full range of photo edits and adjustments. Crop photos, apply filters and effects, create a collage, or add frames with ease in the software’s user-friendly interface. PicMonkey is also a great tool for fun photo editing—from adding stickers to drawing on images. You can also achieve beauty and body photo editing with PicMonkey, with features like wrinkle remover, lip tint, and weight loss. Many of the software’s fans consider it one of the best photo editing apps for selfies. Some edits are available for free—but more advanced options carry a price tag. You can opt for a basic subscription to PicMonkey for $5.99 – $7.99 per month, or spring for the Pro option at $9.99 monthly. Snapseed has earned a reputation as one of the best apps for photo editing in recent years. It earned honors from Apple as the iPad app of the year in 2001 and ranked as one of the Top 100 apps for Android in 2018. The app’s intuitive interface is one of its defining features. Users can select filters and effects through swiping gestures—or opt for automatic adjustments. Once you’ve found a favorite selection of enhancements, you can easily save combinations for future use. Also, Snapseed lets you go into your layers of edits to eliminate any mistakes or make adjustments. Beloved by both amateur and professional photographers alike, Snapseed is available for free in Google Play and the App Store. Its owner and developer—Google—used to offer a desktop version of Snapseed for PC and Mac but discontinued it to focus on the mobile app. This seems like a wise choice since Snapseed is highly regarded as one of the best free photo editing apps available today. Afterlight is a full-featured photo editing tool for iOS and Android. At just 99 cents, Afterlight is a good addition for your iOS devices or Android phone. You’re certain to find the price tag to be small for one of the most powerful photo editing systems for mobile devices. With Afterlight, you can crop, rotate, flip, or straighten an image with just a few clicks. You can also apply the app’s standard filters, create your own, or download more filters to create the perfect look for every photo. Also, Afterlight supports overlay photo editing with its color overlay tool. This feature lets you apply cool or warm tones to your photo—and also includes a set of purple and green overlays. Many other adjustments are available in Afterlight—including hue, saturation, gradient, temperature, tint, highlights, shadows, and more. If you’re interested in unique photo editing styles, you can experiment with some of Afterlight’s creative effects. These include options to add dusty textures that create a vintage vibe and light leaks that make photos appear to have been taken with a film camera. Afterlight also has a double exposure effect that lets you combine two photos into a truly one-of-a-kind image. Thanks to its low cost and array of high-end features, Afterlight is truly one of the best photo editing apps available today. Available as a web-based and mobile solution, BeFunky has made its mark in collage photo editing. If you are looking for an online photo editor or mobile app that lets you combine your photos in fun and creative ways, BeFunky may be the answer. BeFunky offers mobile apps for Apple and Android devices as well. With BeFunky photo editing, you can add photos and use one of the tool’s dozens of free layouts to create a collage. The app includes templates for holiday cards, social media headers, invitations, and more—which makes it ideal for family photo editing. You can also use BeFunky’s online image editor to make adjustments to any image in the collage—or to the complete collage. From basic edits such as resize and crop to unique options—like “cartoonize” and digital art—BeFunky offers an array of tools for editing a photo. For a special touch, you can add text, clip art, or customizable vector graphics. While you can accomplish much in BeFunky for free, it does have some paid features. Once you’re happy with your collage, you can share it on social media sites—such as Instagram or Facebook—or print it for display at home or work. If creativity and fun are among your photography goals, BeFunky should be near the top of your list of best photo editing apps to try. Part of the Adobe Creative Suite, Photo Editor by Aviary is a high-quality, but easy-to-use photo editing app. One of the best photo editing apps for beginning photographers, Aviary can perform automated edits based on the subject of your photo. Simply select from choices like food, scenery, and night mode and let the app work its magic. Aviary also lets you enhance the look of your subjects by removing red-eye, eliminating blemishes, or whitening teeth. A rich selection of filters allows quick adjustments to any photo. The app also has many stickers—ranging from accessories like hats and gloves to hearts, stars, and speech bubbles. You can add text or draw over your photos—and even create memes to share on social media right from within the app. Although you can download Aviary for free, you’ll find that it does offer in-app purchases for more advanced features. Aviary is available for iOS or Android devices, on the web, or through Windows. No doubt about it: Mastering photo editing can take your photography skills from good to great. And there are picture editing tools for every style of photography. Web-based and mobile versions of many of the best photo editing apps are available—so you can refine your skills at any time, on any device. If you are a beginning photographer, you can seek out the best free photo editor. Look for tools that include automated editing—such as preset filters and effects—but let you make manual adjustments as well. That way, you can enhance your photos and learn the why and how of photo editing at the same time. Often, these tools include fun additions—like the ability to create collages or memes—so you can impress your friends and family with your creativity. As you advance in skill, you will likely want to choose more sophisticated photo editing software. Many professionals rely on Lightroom as their go-to photo editing system. Lightroom isn’t free, but you are likely to find it to be a worthwhile investment for advanced photo editing. One of the best solutions is to subscribe to Adobe Creative Cloud, which gives you access to your photos and syncs your edits across web and mobile devices. Getting to know the best photo editing apps is an important step for every photographer. Whether your aim is quick enhancements or creating a work of art, the best photo editing tools can help you reach your goal. A visit to the web, App Store, or Google Play can help you get acquainted with photo editing software. You’ll learn new editing techniques that can help your photos gain the recognition they deserve.